And your support helped us expand security and intelligence cooperation, developed the Iron Dome missile defense system, build a global coalition to impose the toughest sanctions in history on Iran and so much more. As we gather here, three evolving threats — Iran’s continued aggression, a rising tide of extremism across a wide arc of instability, and the growing effort to de-legitimize Israel on the world stage — are converging to make the US-Israel alliance more indispensable than ever. Because we understand the threat Israel faces we know we can never take for granted the strength of our alliance or the success of our efforts. Today, Americans and Israelis face momentous choices that will shape the future of our relationship and of both our nations. 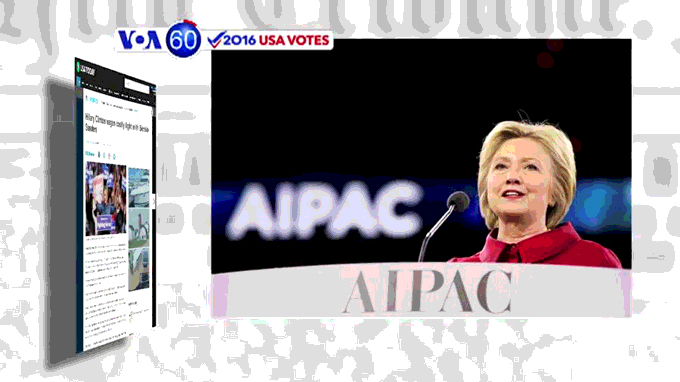 The first choice is this: are we prepared to take the US-Israel alliance to the next level? That will also send a clear message to Israel’s enemies that the United States and Israel stand together united. There is much Americans can learn from Israel, from cybersecurity to energy security to water security and just on an everyday people-to-people level. And it’s especially important to continue fostering relationships between American and Israeli young people who may not always remember our shared past. They are the future of our relationship and we have to do more to promote that. To all the college students who may have encountered this on campus, I hope you stay strong. Keep speaking out. Don’t let anyone silence you, bully you or try to shut down debate, especially in places of learning like colleges and universities. Tonight, you’ll hear from candidates with very different visions of American leadership in the region and around the world. You’ll get a glimpse of a potential US foreign policy that would insult our allies, not engage them, and embolden our adversaries, not defeat them. We must maintain the legal and diplomatic architecture to turn all the sanctions back on if need. If I’m elected the leaders of Iran will have no doubt that if we see any indication that they are violating their commitment not to seek, develop or acquire nuclear weapons, the United States will act to stop it, and that we will do so with force if necessary. The United States must also continue to enforce existing sanctions and impose additional sanctions as needed on Iran and the Revolutionary Guard for their sponsorship of terrorism, illegal arms transfers, human rights violations and other illicit behaviors like cyber attacks. We should continue to demand the safe return of Robert Levinson and all American citizens unjustly held in Iranian prisons. Now, of course, Iran is not the only threat we and Israel face. The United States and Israel also have to stand together against the threat from ISIS and other radical jihadists. An ISIS affiliate in the Sinai is reportedly stepping up attempts to make inroads in Gaza and partner with Hamas. On Saturday, a number of Israelis and other foreigners were injured or killed in a bombing in Istanbul that may well be linked to ISIS. Two of the dead are US-Israeli dual nationals. Everyone has to do their part by avoiding damaging actions, including with respect to settlements. Now, America has an important role to play in supporting peace efforts. And as president, I would continue the pursuit of direct negotiations. And let me be clear — I would vigorously oppose any attempt by outside parties to impose a solution, including by the UN Security Council. 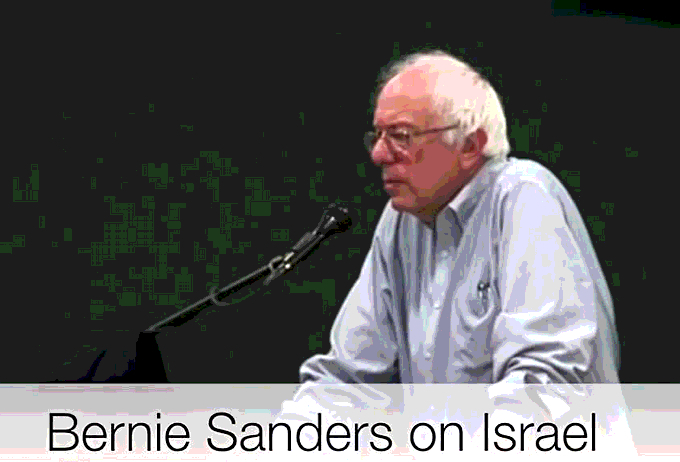 This is the real foundation of our alliance, and I think it’s why so many Americans feel such a deep emotional connection with Israel. I know that I do. And it’s why we cannot be neutral about Israel and Israel’s future, because in Israel’s story, we see our own, and the story of all people who struggle for freedom and self-determination. There’s so many examples. You know, we look at the pride parade in Tel Aviv, one of the biggest and most prominent in the world. That is why I join much of the international community, including the US State Department and European Union, in voicing my concern that Israel’s recent expropriation of an additional 579 acres of land in the West Bank undermines the peace process and, ultimately, Israeli security as well. The US must also play a greater role disrupting the financing of ISIS and efforts on the Internet to turn disaffected youth into a new generation of terrorists. While the US has an important role to play in defeating ISIS, that struggle must be led by the Muslim countries themselves on the ground. I agree with King Abdullah of Jordan who a number of months ago that what is going on there right now is nothing less than a battle for the soul of Islam and the only people who will effectively destroy ISIS there will be Muslim troops on the ground. After five years of brutal conflict, the only solution in Syria will be, in my view, a negotiated political settlement. Those who advocate for stronger military involvement by the US to oust Assad from power have not paid close enough attention to history. That would simply prolong the war and increase the chaos in Syria, not end it.